Everybody wants to protect their home. Unfortunately, potential intruders are just a risk that comes with home ownership. Luckily, there are a few options for home defense out there. Two of the most popular are firearm ownership and a pepper spray home defense system. We sell pepper spray home protection systems here at Revel Technology, and believe they are a superior form of home security. Here’s some info on what you can expect with each. 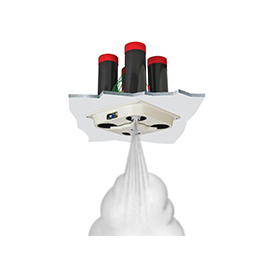 Pepper spray home defense systems, like the ones you’ll find here from Revel Technology, are designed to protect a home without causing any serious injury to intruders. They are made from an atomized formula, which is completely undetectable hours after it is used. The best part about pepper spray home defense systems is that they are automatic, so you can rest easy knowing your security system is working for you. 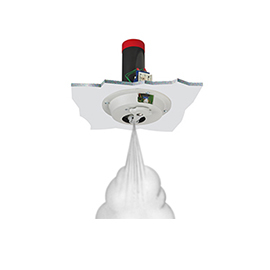 When you buy a pepper spray system from Revel Tech, it can be installed within minutes. Our pepper spray is non toxic to dogs and cats, but may cause problems with birds. Gun ownership is an age old tradition of self defense in this country. Guns can be highly effective for self defense, but require intense training to get there. There are also issues with having a gun readily available with kids or guests in the house vs. locking them up and not having them available in the case of an intruder. We recommend anybody using a gun for self defense take appropriate gun safety courses and practice regularly. 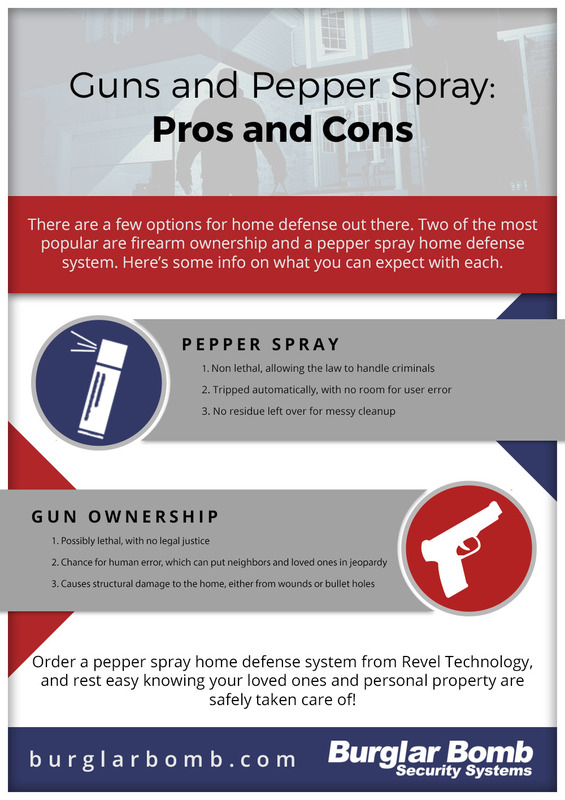 Order a pepper spray home defense system from Revel Technology, and rest easy knowing your loved ones and personal property are safely taken care of! Don’t rely on a prompt police response to keep your loved ones and property safe. Even the boys in blue can make mistakes. Pepper spray can incapacitate intruders with plenty of time for police to apprehend them while you get to safety. 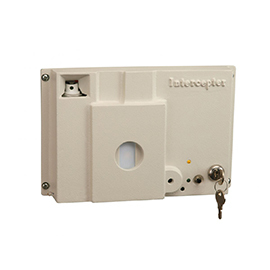 Check out our Repulsar and Interceptor models, which can be networked together as well as linked with your alarm system. 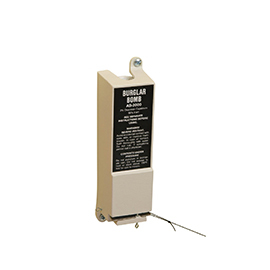 For more information on how our home defense products can help you, please do not hesitate to give us a call at your earliest convenience. One of our friendly and knowledgeable representatives will be happy to answer any questions that you may have.